My name is Sadiq Rahman, I've been studying martial arts for most of my life. 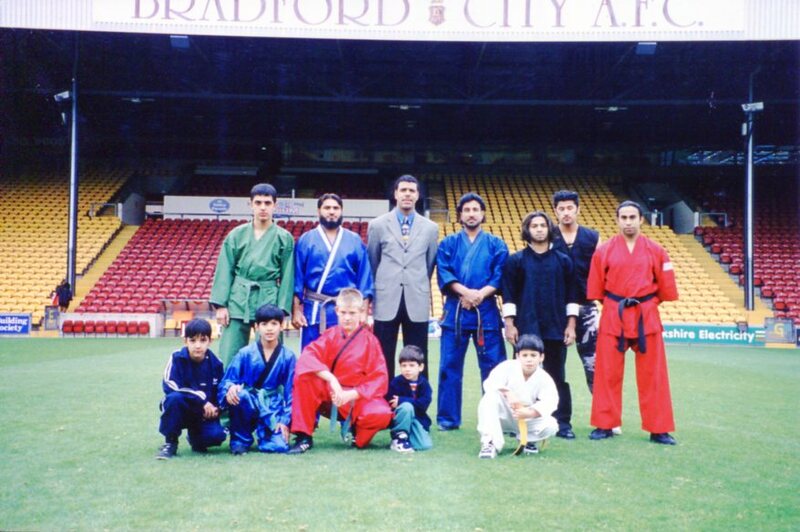 I began my martial arts journey in 1983, studying Shukokai Karate with Shihan Abrar Hussain (now 6th dan), Bradford. 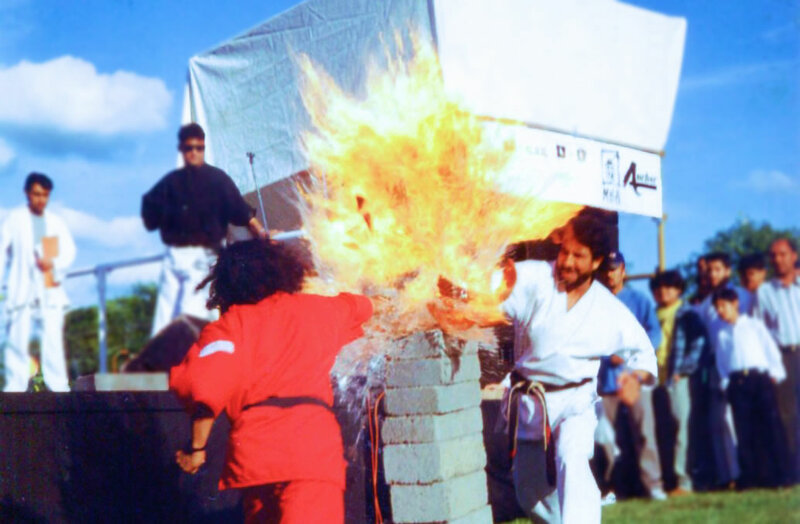 In 1985, the club made a transition from Shukokai Karate to Renshinkai Karate after joining the International Karate Union which was headed by Dickie Wu (7th dan) and Terry Steward (7th dan). 1986, I gained my black belt (1st dan) in Renshinkai under Dickie Wu and Terry Steward. Whilst still training in Renshinkai Karate, in 1987 I joined the Shaw and Oldham Kyokushinkai Karate Club, I trained with Shihan Alex Kerrigan (6th dan) and Sensei David Reece (2nd dan). After 5 years of training with them I left the Kyokushinkai Organisation in 1992. In 1988, I gained my 2nd dan black belt in Renshinkai, under Dickie Wu and Terry Steward. 1991, I studied some Aikido at the Richard Dunn Sport Centre on a casual basis, because I was already heavily training in Renshinkai & Kyokushinkai at that time. 1992, I gained my 3rd dan black belt in Renshinkai, under Dickie Wu and Terry Steward. 1996, I was awarded 4th dan black belt in Renshinkai by Dickie Wu and Terry Steward. 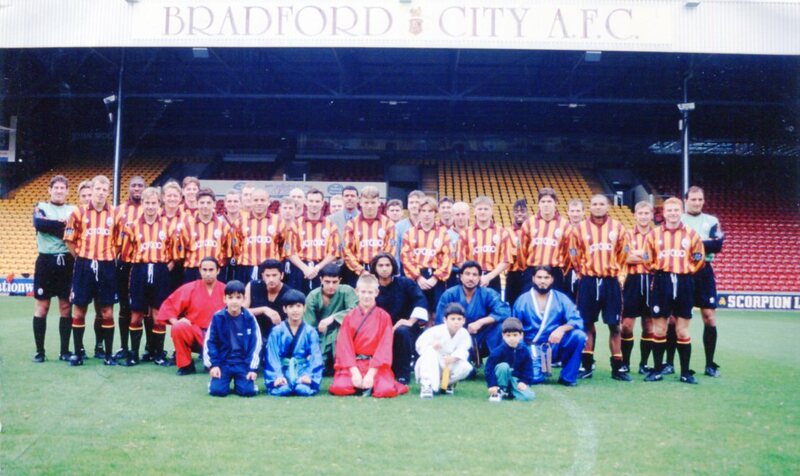 During 1995 - 1998, I was working with Bradford City in promoting an anti-drugs message into the youth community. To deliver this message we used martial arts coupled with music and drama in an entertaining way that left the show lingering in their minds of the audience. Some of the group members, 1997. Preparing these events was quite a challenge in terms of planning and organising, these shows were about an hour long. I was leading group of 50 people from various backgrounds and age groups, ranging from very young to mature adults. My challenge was to train them, as well as arranging the choreography and directing. Chris Kamara, Bradford City Manager, 1997. The Shows proved to be a huge success, and equally earning me praise and recognition within the community. Through this work I met HRH Prince Charles at the Princess Trust event in Leeds, and also giving me the privilege to perform a martial arts show for Her Majesty The Queen at the opening ceremony of the new football stand at Bradford City Football Club. Which was completely destroyed by the tragic fire of 1985. 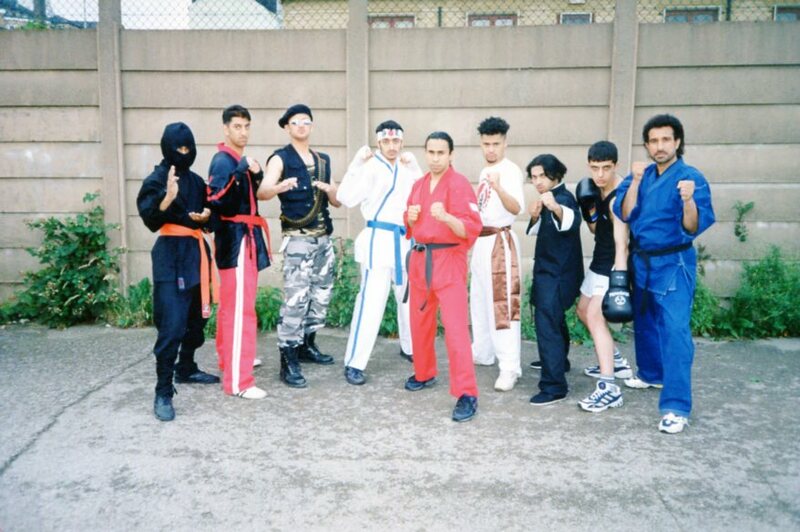 In 1999, I left the organisation (I.K.U) and my karate club. This was the beginning of my self-learning journey. In 2000, I trained in Jiu Jitsu with Professor Tom Fletcher (6th dan) and David Jowett (3rd dan) at their Miyabi Ryu Jiu Jitsu School in Horsforth, Leeds. From 2004 onwards, I've been combining, stripping and refining everything that I have learnt over the years and I still continue to extend my knowledge by keeping an open mind to other methods and concepts. It doesn't matter what style or which master I study, if something is of benefit and can improve me I'll use or adapt it. That's the way I've always been. One person who has really made huge contributions intellectually throughout the whole martial arts journey is Steve Morris. It's his methods and concepts that binds all of my experience together. Anyone serious about martial arts should go to his seminars or at least go through his work, buy his dvds, you will learn so much from Steve. Every day I look forward to learning something new, actively seeking, not just about martial arts, it could be like how arm wrestler's train for grip strength or how fencers train for speed. I just have a passion for learning and have gained a wealth of knowledge, which I would love to share and pass on.